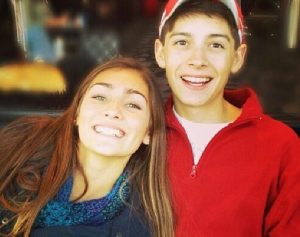 It started off as a happy day – Peter and Yvonne Patnaude’s daughter, Payge, was celebrating her birthday and her older brother, Tyler, was preparing to graduate from Cosby High School. Then with one knock on the door, everything changed. A parent’s worst nightmare- Tyler was dead. The car he’d been riding in hit a tree. In the coming days, the community came together to honor Tyler. The 18-year-old had been a sailing enthusiast so his friends thought it only fitting to memorialize him at Woodlake Pavilion, overlooking the Swift Creek Reservoir where he loved to sail. The students came together in a sea of red shirts and hats to speak about their friend as a young man of faith and service who was dedicated to helping the world around him. That day in late April, the lives of Tyler’s family and friends were changed forever. But it wasn’t only Tyler’s family and friends whose lives were changed. When he had applied for his driver’s license, Tyler had checked the organ donation box so in his final act of life, he gave this gift to save and heal others. 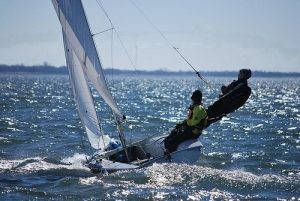 Tyler sailing, an activity he loved dearly. 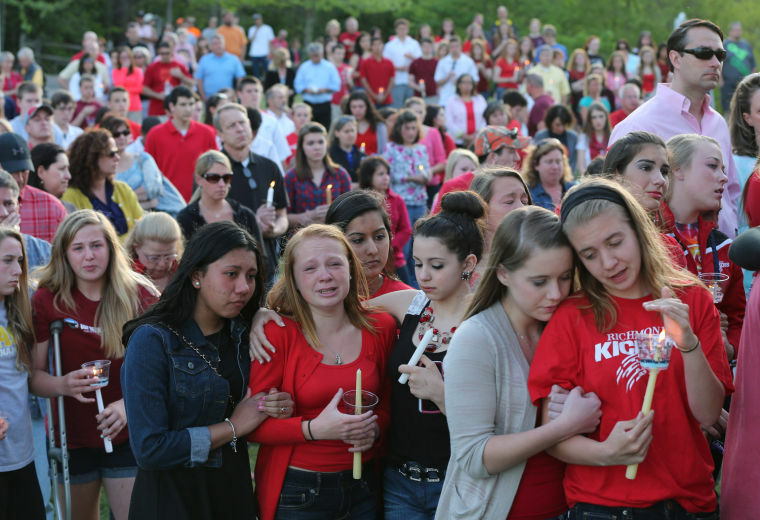 On April 27, the third anniversary of Tyler’s death, his family will return to Cosby High School to talk about Tyler’s gift and to educate other teens about the importance of checking the box. Tyler’s decision to register as an organ donor wasn’t a hard choice, his father said. 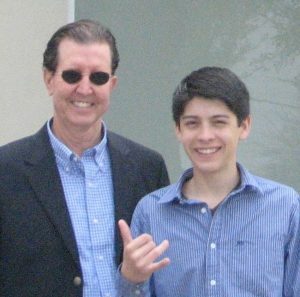 As a young teen in Texas, Tyler had been given a chance to suggest a new law for the Texas state legislature and he proposed a bill to require organ donation be part of the state’s driver’s education curriculum. He researched various state laws and organ donation statistics and then proposed legislation to educate teens before it came time for them to check the organ donation box on their driver’s license applications. Tyler’s advocacy for organ donation had started years earlier though. He grew up in Texas and spent his summers by the pool with his grandfather, Monte. Tyler with his grandfather, Monte. Before Tyler was four year old, Monte had received a lifesaving kidney transplant and it was Tyler’s love for his grandfather that prompted his interest in organ donation. “From knowing what it had done for his grandfather and being able to have a relationship with him because someone had made that choice, Tyler knew it was just the right thing to do,” Peter said. So when Tyler had the opportunity to write a bill proposal as part of a Texas government competition for teens, he settled on organ donation education. His bill pointed to other states, including Virginia, that already included organ donation as part of the driver’s ed curriculum, and he suggested that Texas do the same. At Cosby High School on April 27, Peter will talk about his son’s advocacy for organ donation and his legacy as a “giver of life.” He and Yvonne will also announce the winners of the Tyler Patnaude Service Scholarship, which awards two first-year college students with $2,500 each. These scholarships are made possible by a fundraiser that promotes organ donation awareness; Boats & Bow Ties, which is held the last Saturday in July on the reservoir and open to the public. The scholarships are based on the students’ character and service, not necessarily on academics or on athletic ability, Peter said. Tyler had been dedicated to helping others, teaching them to sail, promoting organ donation, attending church and giving back to the community. He wanted to join the military and he wanted to inspire others. Those qualities, rather than high grades, are what the Patnaudes look for in their scholarship applicants. 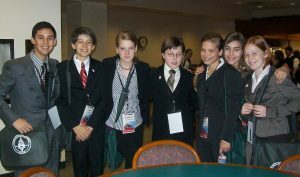 Tyler with the Youth Government Delegation. The Patnaudes won’t be the only ones at the Cosby ceremony. They’ll be joined by Joey Gase, a NASCAR driver whose mother was also a donor. At the school, Gase will invite students to leave handprints on his car, which he’ll race in Tyler’s honor at Richmond International Raceway on April 29. Peter said his family was moved by Gase’s offer to put Tyler’s photo on his car for the weekend and to talk about his gift in an effort to encourage others to register. 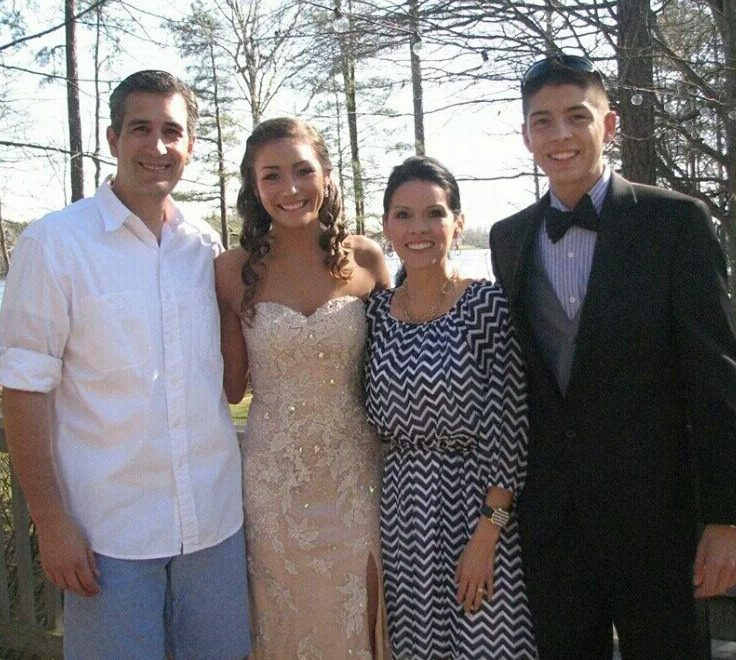 “It touches our hearts deeply anytime someone even thinks about Tyler. When someone shares that his story affected their opinion or decision on organ donation, it’s something we hold on to in a way that is hard to describe,” Peter said. April is National Organ Donation Month and the Patnaudes and Gase will use their appearance at Cosby to highlight the discrepancy between support and registration. While more than 90 percent of adults say they support organ donation, only 60 percent have registered. “During the ceremony, we will try to honor Tyler by dispelling the myths and fears that keep people from registering to be an organ donor,” Peter said. Checking the donor box is important, Peter said. Tyler did it, and so did another youth that the Patnaudes never knew but who impacted their lives to the core. It was only after Tyler died that they remembered that his grandfather, Monte, had received his lifesaving kidney from another young man who, like Tyler, had died in a car crash. Monte’s donor, and Tyler, and others who sign the box are “givers of life,” Peter said, because donating is a person’s final act of courage on earth.